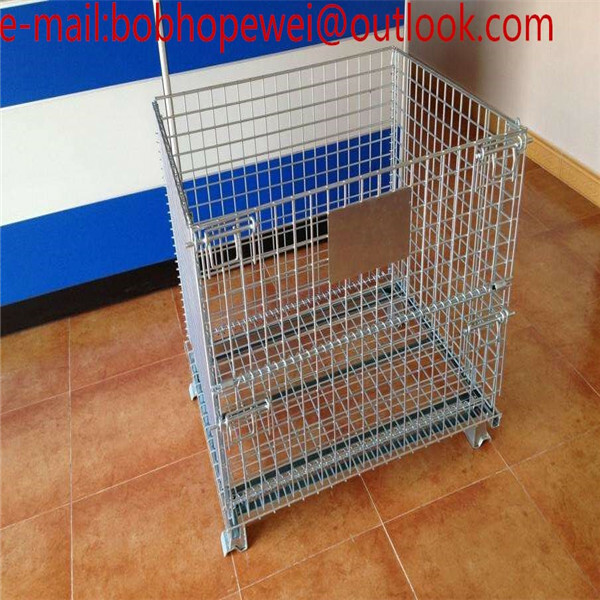 (1)Size: 800mm*600mm*640mm, 1000mm*800mm*840mm, 1200mm*1000mm*890mm etc. 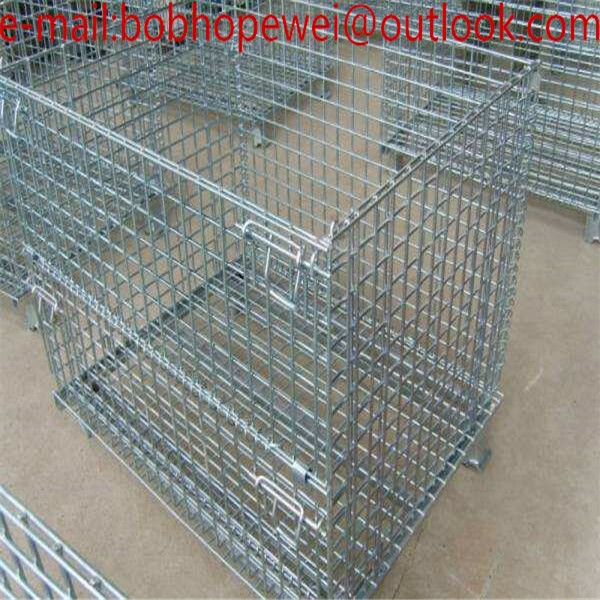 (2)Diameter of wire: 5.0mm, 6.0mm or 6.4mm etc. 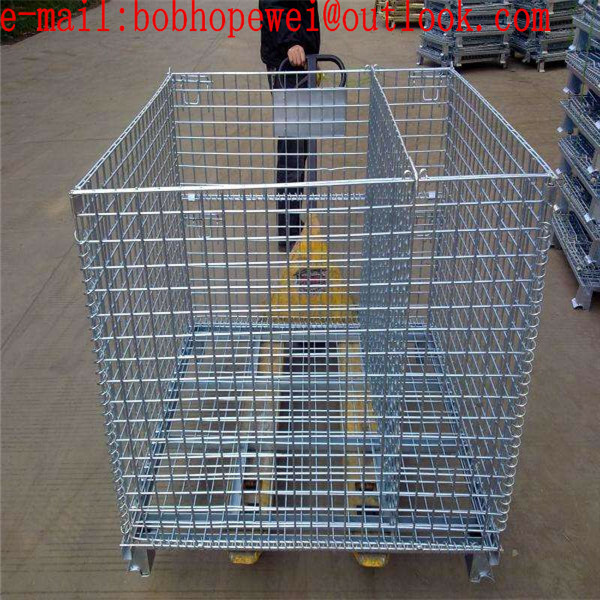 (3)Size of mesh: 50mm*50mm, 50mm*100mm. 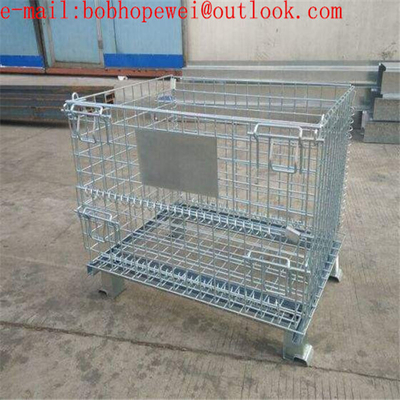 (4)Loading capacity: Varying from 500kg to 2000kg. 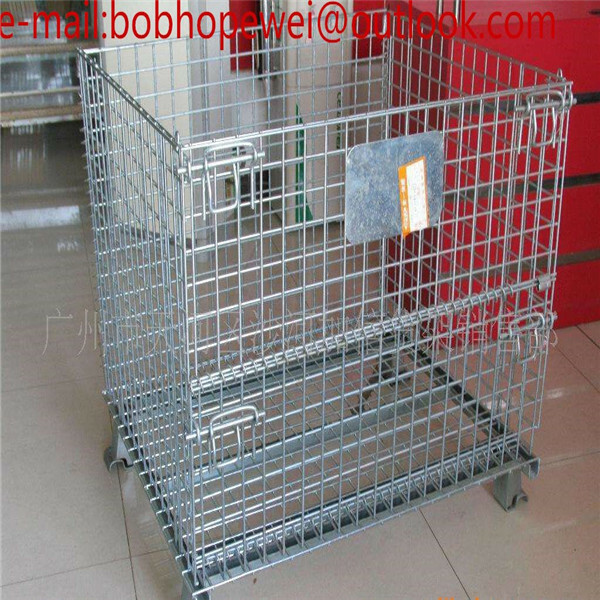 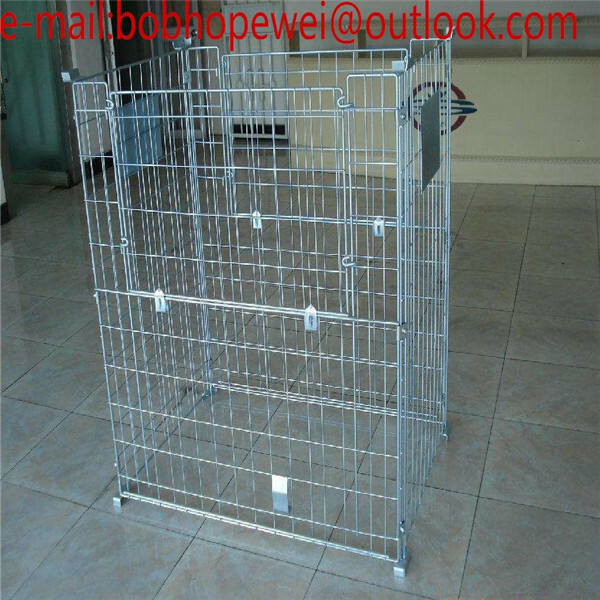 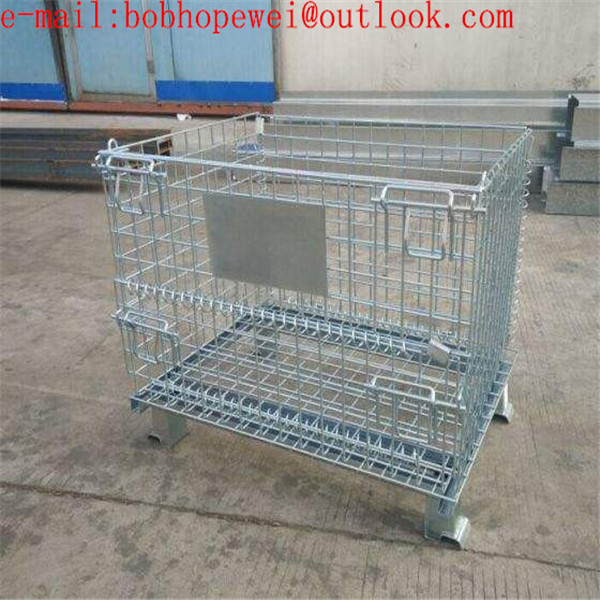 wire mesh containers have a galvanized finish, 4-way entry for easy use with fork lift trucks, drop gates for easy access and safety rating plates with static load capacity. 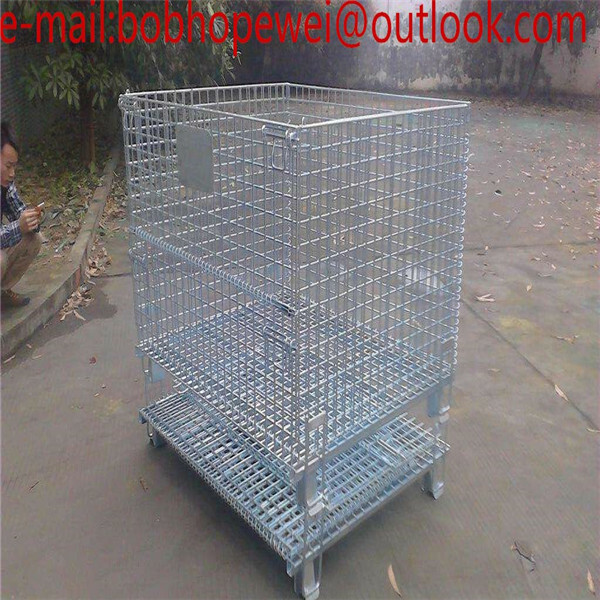 Widely used in industrial,electronic equipment, mechanic industry,etc..